Dr Alison Hodge is an executive coach, coaching supervisor, group facilitator and consultant with more than 25 years’ experience in helping individuals to realise their potential in the corporate world. Following significant line management experience in the media communications industry, she spent 15 years running her own sales and management training consultancy. Here she developed and delivered skills-based development programmes for executives in sales and leadership functions at all levels. Since completing her MSc in Change Agent Skills and Strategies in 2000, she now concentrates primarily on facilitation and coaching of teams and individuals to enable them to achieve the changes that they wish to make. Organisations where she works include banking, financial services and manufacturing. With her curiosity and love of learning, her interventions always include a strong experiential ingredient and she delights in enabling senior executives to find their own solutions, to grow and develop. Alison believes that learning and change may be challenging and at the same time can be fun, and that we can achieve amazing results when we align passion with our professional practice. Coupled with her excellent communication skills, she loves using diverse and creative interventions including role-playing, psychodrama and metaphor to interpret and address individual and organisational change issues. With her extensive hands-on experience, professional skills and academic underpinning, she offers a passion and enthusiasm for professional development that is inspiring and effective at either an individual, group or organisational level. 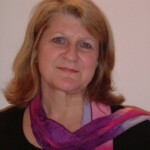 Alison holds a Master Practitioner in NLP and a Diploma in Supervision. She is an accredited executive coach at Master Practitioner level with European Mentoring and Coaching Council (EMCC) and an accredited coaching supervisor with Association of Professional Executive Coaches and Supervisors (APECS). She completed her Professional Doctorate in Coaching Supervision at Middlesex University in 2014. She has been practising tai ji and meditation for nineteen years and finds that this practice, and its associated philosophy, keeps her grounded and in mindful awareness in all her work and relationships.